When going for a job interview the most nerve wrecking part of it, is answering those questions that may be asked. As an Educator, you will need to be familiar with a variety of topics from knowing about the approved frameworks (EYLF, MTOP etc. ), to understanding how to handle scenario type questions. Each service brings different types of interview questions that may be asked. Here is a collection of interview questions that you can prepare for. When talking about yourself during an interview, it's a way to get an insight into your personality and to determine if you're suitable for the position. Don't go into too much detail and don't say too less. Share personal interests, hobbies, your strengths and qualities which makes you the ideal Educator for the job. Why do you want to work here? - Research the company and mention positives about why you want to work there, such as opportunities to grow, further study, etc. Tell me a bit about yourself. - Include interests, hobbies, volunteer work, qualities. Why do you want to work in childcare? - Be honest and show your passion for working with children. What are your strengths? - Emphasize what you're good at (your patient, you're creative, you're enthusiastic, your versatile - and provide an example of your strength in a childcare situation). What are your weaknesses? - Do not talk about your personal qualities as a weakness, keep it professional such as being too critical, attempting to please everyone, unfamiliar with the software, miss out on small details etc. With any weakness, you MUST make sure you say how you are working to fix your weakness with an example. What are your long-term goals – Further studies, your career path etc. Tell us about your experience working with children. - Make sure it is positive, talk about experiences you planned, interests you got involved in etc. What age groups do you prefer to work with? - Be ready for why. Do you have any physical/mental issues that may impact your ability to do the role? - If you are pregnant say so, if you are trying to get pregnant say so, if you have back pain say so, if you have anxiety say so. You would rather discuss it upfront. What qualities do you have that could add to our centre? - Read the job description and provide examples of something unique that you can bring to the centre. Such as speaking another language. Why do you wish to leave your current employer? /Why did you leave your last job? - DO NOT discuss any negative issues from your previous centre, you could say you moved or you wanted a different position than your previous centre couldn't offer. Never bad mouth another centre even if you left on the worst of terms. These questions typically relate to your experiences while working in a centre. Take a minute to gather your thoughts before answering the question and be confident when answering. If you don't know an answer don’t say "I don't know" you could say something like "I haven’t had experience with that but this is what I'll do" etc. Think of what you would do in each scenario before answering. How do you handle misbehaviour in the room? 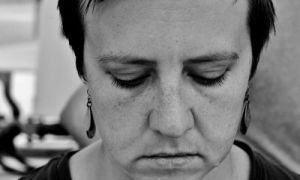 Describe a time where you have experienced conflict with a colleague/parent and how you dealt with it. What would you do if children were fighting and got physical? How does the day of an infant in your classroom differ from the day of a toddler in your classroom? What do you find to be the most challenging thing about working with children? Have you feel about toilet training and changing nappies? Describe a time you resolved an issue with an unhappy parent. What will you do if you saw a child coming to the centre with bruises etc. on them? What will you do when there is an injury or accident? If you observed an angry educator grab a child's wrist and lift the child, what would you do? Please make sure that you are aware and have an understanding of the NQS, EYLF/MTOP, WHS, Child Protection and Ethical and Legal Issues in early childhood settings. The qualification you have studied would have covered these and it's important that you answer these questions diligently. You should be very familiar with NQF by now. Are you aware of child protection procedure and regulations? - Make sure you answer based on your state, being a mandatory reporter and what would you do if you suspect abuse. How would you program with the EYLF and NQS - Something like focus on ensuring that the educational program and practice is stimulating and engaging and enhances children’s learning and development by responding to children’s interests and scaffolds their learning. What is the importance are of policies and procedures in the workplace? - Clearly written, sourced and current policies are extremely important because they form the foundation of quality practice. They support child care professionals to make informed decisions about their daily practices. Policies need to be developed in collaboration with all stakeholders to help everyone to understand why a practice is necessary, who is responsible for it, when and where the practice should occur and how it happens. 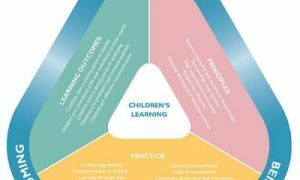 What is the importance of the EYLF - The EYLF is a guide which consists of Principles, Practices and 5 main Learning Outcomes along with each of their sub-outcomes, based on identity, community, wellbeing, learning and communicating. The Learning Outcomes are to be used to reflect on children’s learning and focus on what a child can achieve rather than what they can’t. The Early Years Learning Framework enables childcare professionals, educators and early childhood teachers within an early childhood setting to extend and enrich children’s learning, provide opportunities for children to develop a foundation for learning and for children to become successful learners. 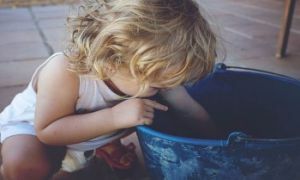 What is the NQS - The National Quality Standard (NQS) is a key aspect of the National Quality Framework (NQF) and sets a high, national benchmark for early childhood education and care, and outside school hours care services in Australia. The NQS brings together the 7 key quality areas that are important to outcomes for children. Explain in your own words your understanding of the National Regulations and how they operate in your role as an educator? - National Regulations support the legislation and provide a variety of details to early childhood settings including LDC and FDC throughout Australia about operational requirements. As an educator, the National Regulations support my role and my decisions in providing children and families with high-quality care and services. The policies which are included in the Regulations are service approvals, assessments and ratings, staffing arrangements, program and practices, health and safety, physical environment. These interview questions are just some of the ones that you may be asked and depending on the position you are applying for also depends on the questions during your interview. For Room Leaders and Directors, your questions will be in-depth, more towards the NQF, and scenario-based questions. Going for these positions you will need to make sure that you are fully aware of the EYLF and NQF.